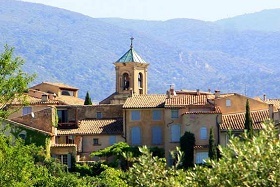 You will begin this half-day tour to discover some of the 'Most Beautiful Villages in France' situated in the Regional Nature Park of the Luberon by travelling through the winding Combe de Lourmarin which separates the Petit and Grand Luberon to reach the village of Lourmarin for a free time. This place is famous for its 15th century castle. A nice scenic drive to the foot of the majestic Saint-Victoire mountain. At 1 011 m, it had been a source of inspiration for many of Paul Cezanne's paintings, a native of Aix-en-Provence. 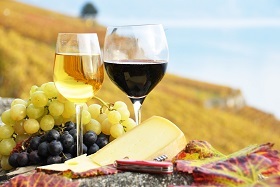 The geological composition of the soil types plays an important part in the making of wine. 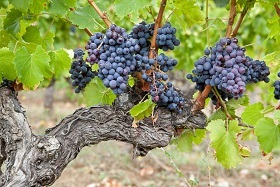 In this region, mostly composed of limestone and argillaceous sandstone, considered poor in nutrients, is however ideal for the grapevines growing in shallow soils. 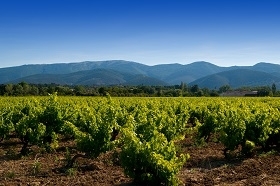 Therefore producing powerful, robust red wines and rosés with subtle aromas. 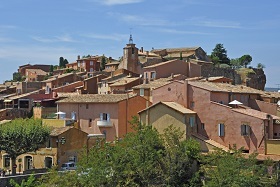 Visit to two wineries and delight yourself with the rosés and reds of the 'Côtes de Provence Sainte-Victoire' label wine. 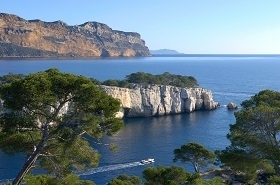 A scenic drive by the winding Route des Crêtes which offers a magnificent scenery through the Calanques National Park, one of the jewels of the region. 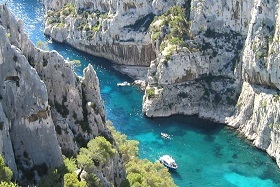 The highlight of this route is the cliff tops in Soubeyran, the famous Cap Canaille (363 m). From here you will be rewarded with breathtaking views between the sea and the mountains. These huge limestone cliffs, overlooking the Mediterranean Sea, extends over 20 kilometers along the coast. You will be enchanted with this little fishermen port. 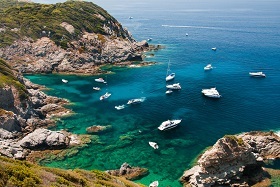 Access to Cap Canaille and boat cruise will be closed to the public in the event of strong winds. Available on Mondays, Thursdays and Saturdays from 09.00 am to 1.00 pm from April to October. 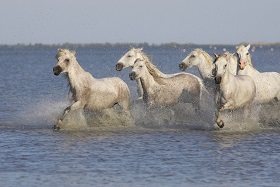 The Regional Natural Park of Camargue, which covers more than 13,000 hectares is one of Europe’s largest wetlands reserves of the Rhone Delta whereby the Rhone river joins the Mediteranean Sea. Its well preserved fauna and flora are vital to the protection of more than 300 species of birds. The pink flamingoes are among one of them. 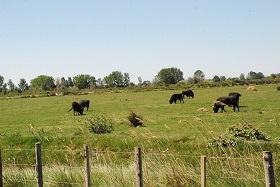 Camargue is the 'Cowboy' region of France: you will see many herds of bulls raised on more that 150 'manades' (ranches). You will not miss the thousands of white horses, an ancient indigenous breed. The delta of Camargue is also the only rice-cultivation area in France. Suggestion for an optional activity : the visit to The Pont de Gau Ornithological Park (entrance not included). The trails will take you through marshes, past seaponds, reed marshes, lawns, salt swamps ... and if you are a bird lover, try guessing the species of the birds. 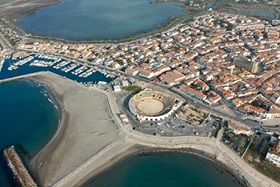 You may want to sunbath by the beach or visit the fortified church in the village of Saintes-Maries-de la Mer. Each year, thousands of gypsies come to pay a pilgrimage to its patron Saint Sarah. Available on Mondays and Thursdays from 01.30 pm to 7.30 pm from April to October. 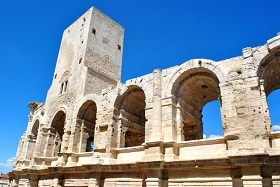 Arles, once the capital of the roman empire in Provence, is also the town that inspired Vincent Van Gogh helping him to produce numerous famous paintings. The 'Cafe at Night' is among one of them. Thanks to the Liberty Pass provided by your driver, discover the rich architectural and cultural heritage sites at your own pace. 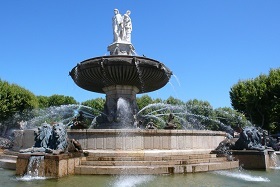 With around 4-hour free time, you will have a choice to visit 1 museum and 4 monuments. 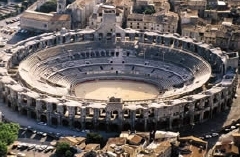 Museums : Arles Antique Museum or Reattu Museum (closed on Mondays). 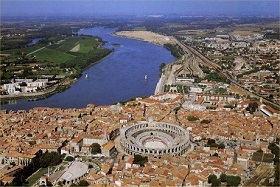 Monuments : Amphitheatre, Antique Theatre, Constantin Thermal Baths, Cryptoporticus, Alyscamps, Cloister of Saint Trophime. The ticket 'Liberty Pass' is included. Meet your guide outside the Apple Store shop, and discover this charming provençal town with its diversified products locally made. 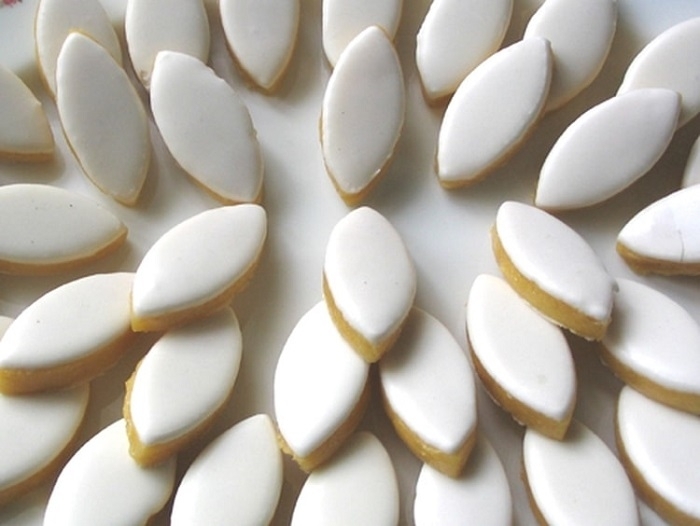 Taste the famous Calisson, toasts of green and black tapenade, some cheeses or a glass of wine from one of its local appellations. Let your senses be seduced by the scents, colors and flavours. 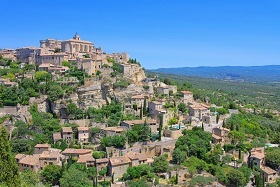 Get the appreciation of what Provençal gastronomy truly means.